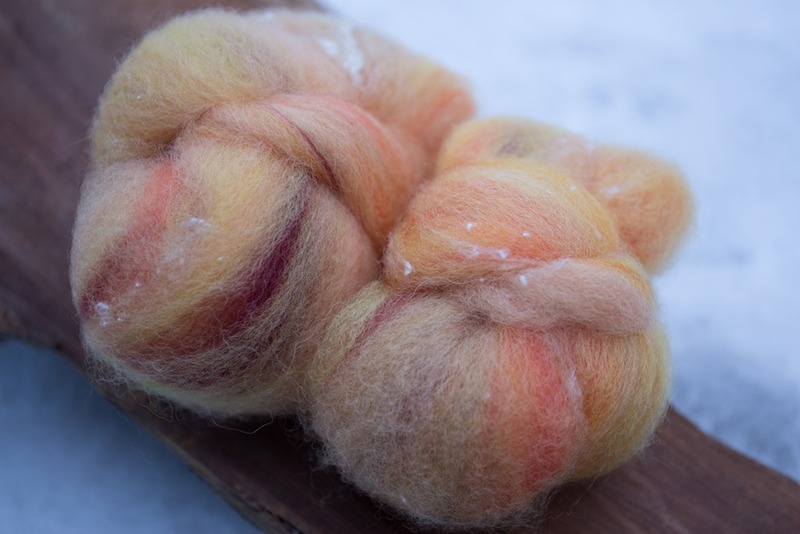 The final installment of fibre club is here! I want to start by thanking everyone who has been in the club, both past and present, and supported Wool n’ Spinning by doing so. Much of the work that I have been able to get off the ground here has been because of fibre club – not taking a few shifts at my “career job” to work on articles for upcoming PLY magazine articles, creating content for the podcast and covering shipping costs to do some giveaways. This has created a wonderful foundation for me to continue creating content here at Wool n’ Spinning and directly funded the start of Wool n’ Spinning Radio. 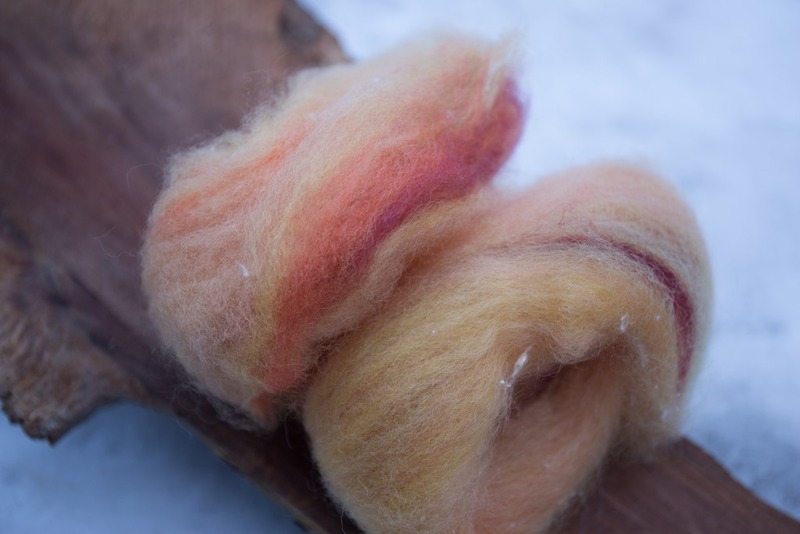 As a way to bridge the gap of this fibre club coming to an end and Katrina taking the reigns over in her ETSY shop, she dyed last month and this month’s club colours but I blended them up. This month, I kept the colours more clean from one another and didn’t overly blend them together. 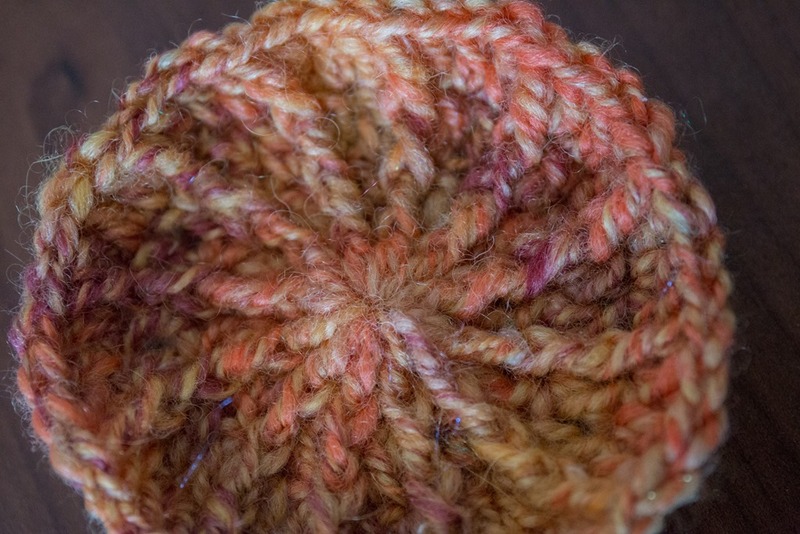 I love the effect and the result is a very heathered yarn! 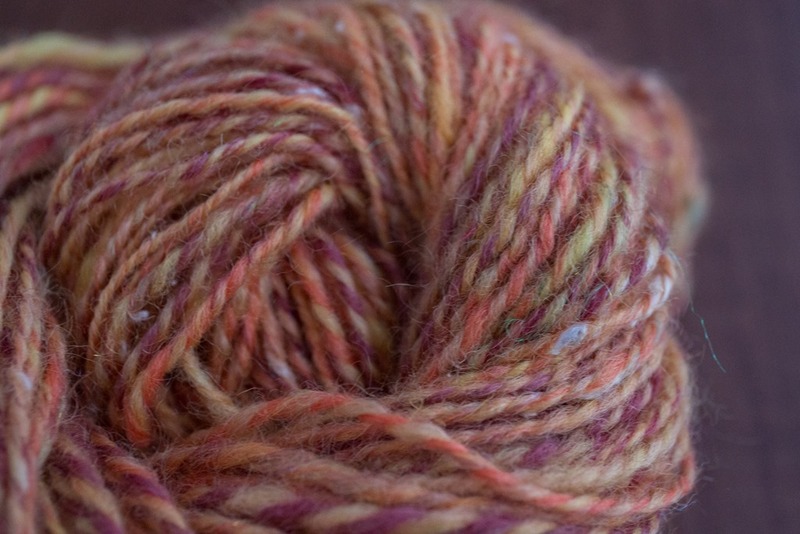 This month’s club includes BFL, firestar and Silk Noil. 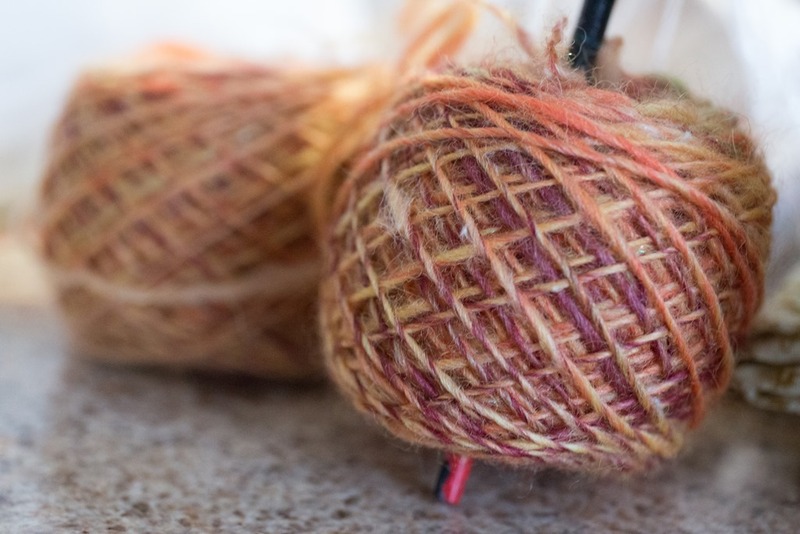 This month, I didn’t think too much about the yarn I wanted to make – I knew I wanted a light sport weight 2-ply for my blanket I’ve just started. I spun up 25 grams and have made 2 of my centres already! I made two centre-pull balls and plied! It was fast, fun and really enjoyable. The resulting skein is very heathered and dynamic but I think it really shines when crocheted up into my blanket! That dark purple areas add an incredible amount of pop and depth, while the yellow creates light against the dark. And sparkle? Because it’s fun! This totally reminds me of the sunsets we’ve been having lately. Do you know the rhythm? Red sky at morning, sailor’s warning. I grew up hearing that from my dad, who loves being out on the ocean! A reminder that anyone in the fibre club and workshop tiers on Patreon! Those will be cancelled on or around the 20th of January. I hope you will consider editing your pledge before then to continue supporting the show. Thank you again for this amazing community! What have you done with all of your fibre club offerings?